Uncles are a funny bunch. While some are strong and encouraging role models acting as kind and loving pillars of inspiration throughout our stress-filled lives others just tend to drink too much and flirt inappropriately with their sister-in-laws. Whatever kind of uncle you have, there’s no reason for you to be left stuck for gift ideas. For less than the price of a few bottles of Scotch whisky, your uncle could become the proud owner of his very own piece of Scotch land, not only providing him with a picturesque little place to visit, but legally allowing him the title of Laird – something no self-respecting uncle should be without. A Lairdship is the equivalent to an English Lordship and is now available to anyone through a simple financial transaction. The fact that the plot of land in question is only one square foot in size and may very well fall slap bang in the middle of a thistle patch should not detract from the prestigious honour of being a genuine Laird of the Highlands. The gift comes with a land title deed, a personal letter of introduction and a map with a plan of the site and access instructions, all presented in a beautiful gift folder and professionally shrink-wrapped. Yes, you read correctly – a remote controlled golf ball. As well as being highly competitive, many golfers have a cheekier side with a love for practical jokes and mixing things up a bit. 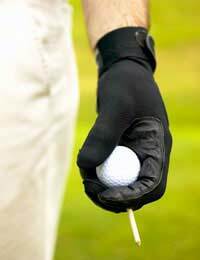 This device is every such golfer’s dream. Imagine the scene; a friend of your uncles just about to tee off. He takes a deep breath, grips the club, feels the wind in his hair as he prepares to take his first swing of the day – and the golf ball hops off the tee and speeds off towards the bar or attacks a fellow golfer. Hilarious! And for those slightly sneakier of mind, it wouldn’t exactly reduce their chances of scoring a few of those difficult putts either. A definite must-have for any golf loving uncle. For those boring days in the office, a USB pole dancer is the ultimate boy’s toy. Simply plug the device into the USB port on any desktop or laptop computer and a tiny scantily clad dancer will proceed to shake her booty for you. She may only be 6 inches tall and made out of plastic, but she’s a stunning example of beauty nonetheless. Described by a well known MP as ‘cheap and tawdry’ and removed from the shelves of one leading department store for being too risqué, this is something mischievous that every uncle will love by his side. If your uncle likes the odd glass of beer or maybe even the odd nine or ten, then why not consider buying him his own personal miniature brewery. Home brewing used to be a messy and time consuming process that yielded little more than smelly alcoholic water. However, with new closed, pressure-controlled brewing vessels like the ones we have today, those days are long gone and anyone can produce their own top quality lager in just 21 days with minimal effort, which, after all, is the best kind of effort. The micro-brewery comes with enough ingredients to make a batch of 10 pints with 30 pint refill packets available at a fairly reasonable price. The only real question is; will your uncle be able to wait 3 weeks?